Adding to the body of evidence about human rights violations of migrants and refugees in Libya, the recently released report by Amnesty International describes in detail the system of ‘migration management’ in Libya and the complicity of the European Union and Member States in supporting this system. 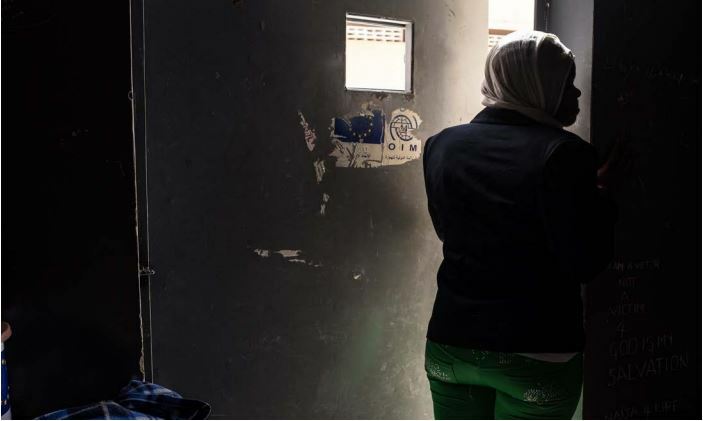 The report ‘Libya’s Dark Web of Collusion: Abuse Against Europe-Bound Refugees and Migrants’ presents the current situation for migrants and refugees in the broader context of the country’s policy framework, and past and present cooperation with Italy and the EU. Irregular entry, stay and exit is criminalized in Libya, resulting in mandatory detention and deportation. Refugees and migrants are subject to blackmailing, torture or are handed over to smugglers through a system of payment, bribes or ransoms both in official detention facilities run by the General Directorate for Combating Illegal Migration (DCIM), as well as unofficial ones run by militias. The Libyan Coast Guard (LCG) is known to operate in collusion with smugglers, has been using threats and violence against refugees and migrants on board, has caused deaths and put lives at risk by operating in disregard for basic security protocols and standards. The EU and its Member States have pursued their own goal of restricting the flow of refugees and migrants across the Mediterranean, with little thought for the consequences for those trapped in Libya. They have also entered into a series of co-operation agreements with Libyan authorities responsible for grave human rights violations, in particular the Libyan Coast Guard (LCG) and the General Directorate for Combating Illegal Migration (DCIM) aiming to support their capacity to fight smugglers, carry out search and rescue operations and prevent irregular departures. Amnesty argues that the EU and Member States are complicit to these violations in break of their own human rights obligations for two reasons: first, they cannot claim to have been unaware of the consequences and second, they have not really insisted on key rights protection mechanisms and guarantees from their Libyan counterparts. Noting recent measures by IOM and UNHCR to evacuate or repatriate migrants and refugees from Libya, the report concludes with a call to end automatic detention and a series of reforms to change the legal framework and practice of Libyan authorities, as well as resetting all EU cooperation with Libya on migration to make human rights protection a priority. The report also recommends establishing an independent human rights monitoring mechanism, to oversee the conduct of the LCG and the DCIM, which would report human rights violations to the Libyan authorities and the EU. The newly established EU-AU-UN Task Force has been praised by participants as a turning point for a policy of protection of migrants and refugees in the Mediterranean region, particularly in Libya. In her speech at the European Parliament’s plenary session on Libya this week EU High Representative /Vice President Federica Mogherini repeated the call for closure of the detention facilities, evacuation and repatriation but did not address the links between EU cooperation with Libya and the situation for migrants and refugees. Further, parties of the Joint Task Force agreed on extending the European funding for IOM and UNHCR operations by €100 million and the AU strengthening cooperation with Libya and African countries of origin for the repatriation of their nationals.